1. Click on the Start circle in the bottom left corner of the screen. From the menu that appears, click on Computer. 2. 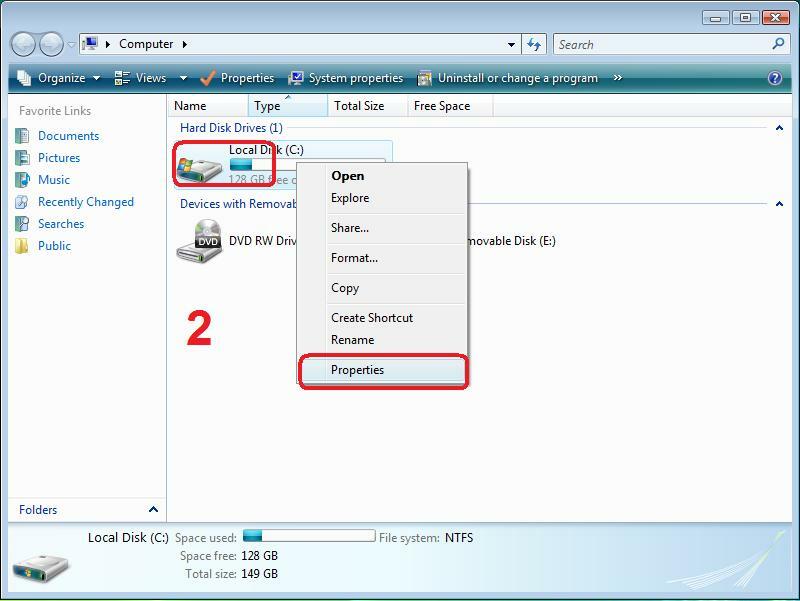 Right click on the icon for the C: drive (often called Local Disk C:). From the menu that appears, left click on Properties. 3. Click on the Tools tab at the top of the window that appears, then click on Check Now. Click on Continue if a warning message appears. 4. 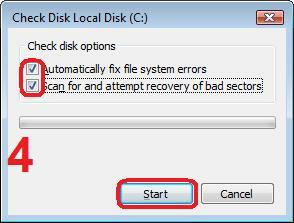 Tick the boxes marked Automatically fix file system errors and Scan for and attempt recovery of bad sectors, then click on Start. 5. 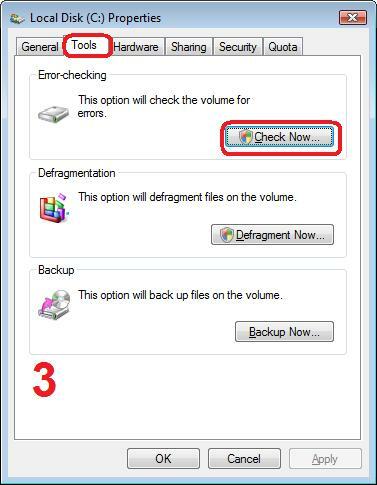 In the message window that appears, click on Schedule disk check. 6. 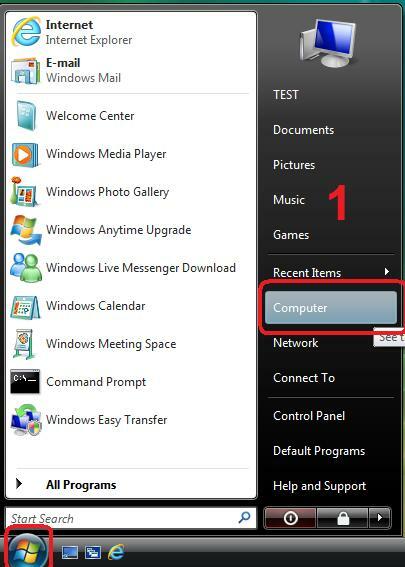 Restart the computer by clicking on the Start circle in the bottom left corner of the screen, pointing to the arrow on the bottom right corner of the menu that appears, then clicking Restart. The computer will turn off and on again. As part of the startup process, the hard drive will be checked. This process can take several hours to complete, and the computer cannot be used during the check. The check should complete five stages. If it only completes three, or finishes very quickly, it has not run properly. Repeat the steps above, as sometimes it can take a few attempts before it starts a full scan. If the process appears to hang for more than three hours, there could be a major fault with the hard drive or other system component. In this case it is recommended that the computer be turned off manually by pressing and holding the power button for ten seconds and then be checked by a technician. Nice article and great guidelines that you've published for users who didn't how to retrieve Windows problems. You know how to recovered Windows hard drive data ?